Hackbright Academy launched an 8-week, part-time Hackbright Prep program in San Francisco in April, and is now expanding the program to the Netflix campus in San Jose, South Bay. This is the first time Hackbright Academy has offered a class outside of San Francisco – does this mean we can expect a full-time bootcamp in San Jose next? We asked Director of Part-Time Education (and Hackbright alumna) Jessica Earley-Cha what students will learn in the Prep program, why they’re excited to bring Hackbright to San Jose, and what the Netflix campus is like (apparently it smells like popcorn)! What’s your background and your role at Hackbright Academy? Prior to Hackbright Academy, I worked for 10 years in the non-profit sector, primarily working with female youth and adults. I decided to change my career and I graduated from Hackbright Academy's 12-week fellowship program a few years ago. My main role is leading the Part-Time Education Department, and we are expanding to different areas which is exciting. The idea of working with a population of women who are considering this career transition with Hackbright Academy has been really fascinating for me. I remember being in that headspace, and thinking I wanted to do this, but I didn’t know how, or what my steps should be. So my big goal in my role of redesigning the part-time curriculum has been to focus on how we give a woman the tools she needs, so she can be successful and make those choices. I am also involved in a lot of meetups; I’m currently the co-organizer for Google Developer Group in San Francisco, a Women Techmaker lead, a teacher for Girl Develop It, and am active with Latinos In Tech. I write technical blogs on chatasweetie, as well as co-host DevelopHerDevelopHim, a YouTube channel about tech. The course is designed to help women prepare for Hackbright Academy’s 12-week immersive software engineering program. We get many women who find out about Hackbright Academy and are excited but they may not have the technical understanding to do the full-time program, or they need help figuring out if they want to invest so much money and time. Hackbright Prep is an easier, lower-risk program to take, but it’s the same style of teaching as the full-time program so students are getting an immersive experience. This course format is so in demand that people want us to go to other locations. Who are the women enrolling in Hackbright Prep? We get a lot of women enrolling who want to become software engineers. They are excited about Hackbright and they want to learn programming. We have other women who are ready for the full-time software engineering program, but want to tighten up their understanding of Python. It’s 8-weeks, twice a week in the evenings, so the women who participate can work full-time, which is really convenient. You launched Hackbright Prep at your San Francisco campus in April. How is it going? Right now we are on our second cohort in San Francisco. It’s held at the same building where we teach the full-time software engineering program, and it’s in the evening, so when the full-time students are done with their class, they go home, and our prep students come in. 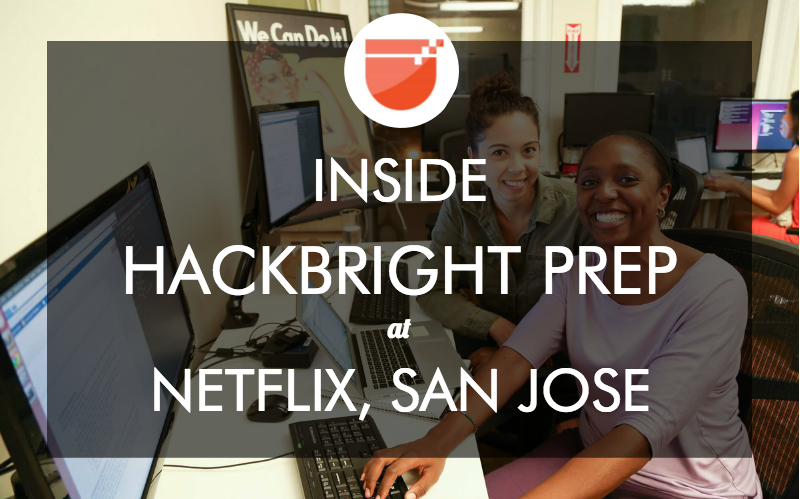 Why did Hackbright Academy decide to launch Hackbright Prep in San Jose/South Bay? Was there specific demand in that area? San Jose is right next to Mountain View, and that’s where huge companies like Facebook, Google, and other large tech companies are. However, we noticed there were not many resources in that area for an all female, supportive learning environment. Most tech meetups are predominantly male – the very first meetups I went to, I could count on one hand how many women were there – so it can be intimidating. We want to provide an environment where we’re all here to learn, no one will talk over you, and we’re very purposeful to set the tone of the learning environment. We all try to be mindful of others and create an optimal learning experience. We currently have students who drive from the South Bay area to take Hackbright Prep in San Francisco. These students have full-time jobs, they get in their cars, they drive up through traffic to get to class here at 6:45pm, stay here until 9:15pm, then drive home. So we’ve had commitment from that area before. When Netflix offered their space, it was a no-brainer. It gave us an opportunity to serve women that had been driving for hours to take the course. Netflix has been a big advocate for women in technology and they were more than happy to support the opportunity for Hackbright to expand in the South Bay. 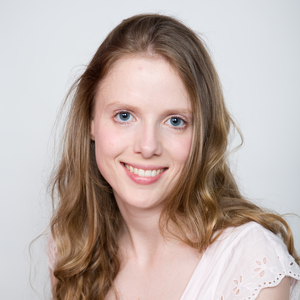 What is the goal of the Hackbright Prep course? Is it only for people planning to enroll in the fellowship, or can people take it just to get some basic coding skills? Our main focus is for those women who want to get into a bootcamp and ultimately switch careers. Hackbright Prep is geared towards women who have dabbled, and now want to take coding more seriously and build something. We don’t have a screening where we are limiting folks, but we do expect women to have about 10 hours of coding experience prior to applying for Hackbright Prep. 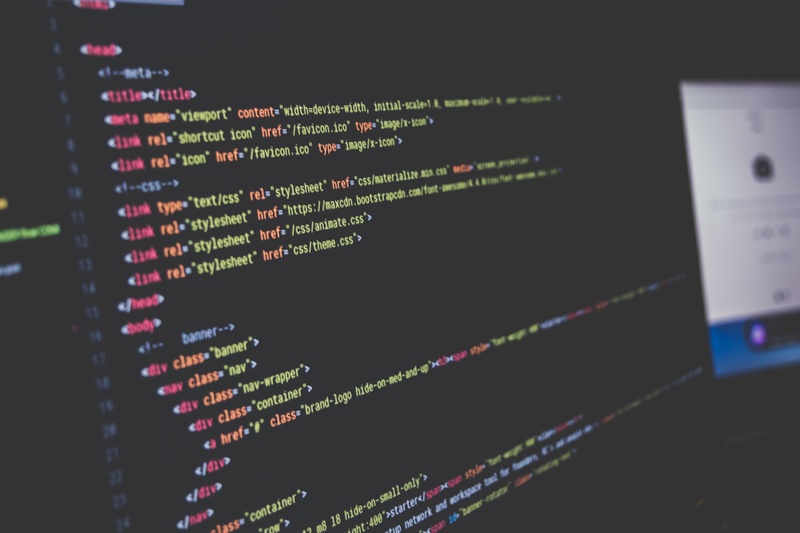 How can women get those 10 hours of coding experience before the class? I recommend doing something online that’s free, because it’s low risk and you can dabble on your own. Check out some YouTube videos, and there are so many fantastic online learning resources, like Codecademy. Then try an in-person class, or go to a meetup, talk to people and see if it’s something you’re interested in. Ultimately, going into this field because it’s a big paycheck is not a good indicator of your long-term success. It’s more about whether you enjoy problem solving, and are excited about the work. So dip your toes in the water, and if you find you want to learn more, this Prep program is a great way to build your skills. Classes are Tuesdays and Thursdays from 6:45 pm to 9:15 pm. In the last four weeks, we have Code Meetups on Sundays from 11 am to 2 pm, where students code together, and build projects. Hackbright Prep mimics the fellowship style of having one hour-long lecture, then an exercise. So you can learn a concept, then immediately apply it. For the exercise, students work in pairs. True learning is in actually doing things, so by talking to somebody, telling them your thought process, listening to their thought process, and coding together, the learning is exponential compared to coding on your own. This also builds community, because now you know someone better after solving a problem together. In the last four weeks of class, we have code workshops, which are structured a little differently. The lecture is shorter, about 30 minutes, and we talk about the problems we face. As a group we talk about the components we would need to build a particular project, then for the rest of class students are building projects. Students also build a personal project, so when they finish the course they have the skills to go home and build on their own. Students also have homework on the weekends, which is more of a confirmation of information, rather than learning new materials. What is covered in the Hackbright Prep curriculum? The concepts we work through are devtools, using the command line, and using an IDE virtual environment. We cover the basics of programming, primitive data structures, collections, functions, and how to organize your code. The biggest part is problem solving – how do you break a problem down into manageable pieces. We try not to focus on aspects that are unique to Python, instead we want to teach them the general concepts of programming. Python is a wonderful learning programming language as well as a powerful industry language. We also have the advising component. Each student is paired up with a member of the education team to go over your goals, your learning style, and to review your code. So students get one-on-one time, regardless if they want to or not. That’s something that some women want to avoid, but once they do it once, they are happy that we encouraged them. Having someone to spend time with each student and support them is key to what we do. Who teaches the Prep course? Are they Hackbright instructors, or Hackbright alumni? The majority of our education team are professional engineers. We have both alumnae and mentors from the Hackbright full-time immersive program. We also have a handful of folks from the tech industry who found out about our mission, and got in touch to ask how they can help. These engineers are doing this out of the goodness of their heart, and they enjoy it. A lot of these relationships are not just during the class, and they continue afterwards which is really nice. Students are building their networks in the course. Generally, we have three tiers of our education team. We have a teacher assistant, a lab instructor, and an instructor. We teach in the style that Hackbright is known for. It’s this interesting balance of serious and fun – the concepts that they are learning can be challenging, then we make it fun using silly examples. When it’s 8 pm at night and you’ve worked all day, we have to keep it a little interesting. It’s easy to get lost in a classroom of 30 students. We keep a ratio of 1 educator to 5 students, which is a similar ratio to the full-time immersive program. Even if students and advisors are not meeting one-on-one every class, we keep an eye on them. Each student is assigned to an Advisor so that they can ask questions about what it’s like to be an engineer and what the job looks like. We found that to be a really key component when you’re considering transitioning into a different career. How often do people get into Hackbright Academy after the Prep course? Do they ever apply for other bootcamps? We’ve only had one cohort graduate from Hackbright Prep so far, so it’s a small sample size, but it’s looking good. We’ve generally had a good ratio of admissions for students who completed our prior prep program – Intro to Programming. What is the space at Netflix like where you are holding the course? The Netflix campus is beautiful. When you go into any Netflix building, it smells like popcorn everywhere, and they have posters of all the shows they’ve done. The classes are held in a huge conference room, which fits 70 people. We cap our class to 30 people, and split the room into half, so half is for the lecture and the other half is for pair programming. It has huge windows, it’s gorgeous, and has all the latest gadgets. Everyone is fantastic there. Does the popcorn smell make everyone hungry? Well, what’s nice about our program is we include snacks. The last thing we want is for a woman to get out of work late, and if she is hungry, she might not come to class. So we have granola bars, oranges, and apples – that way they have no excuse not to come to class! If this pilot is a success, what will be your next steps? Will you launch a permanent Prep program in San Jose? Or even a campus for the fellowship? Our goal is to empower women all over the country so we are definitely just getting started.